Natura Greenspring Mattress for Bulging & Herniated Discs. Home → Bulging Discs → Natura Greenspring Mattress for Bulging & Herniated Discs. I need to buy a queen size mattress set. I have disc problems and have been researching your recommendations for people with disc problems. I have two bulging discs at the very bottom of my spine as well as a herniated and a bulging disc in my neck. I am 5′-10″, weigh 200 lbs, 63 years old and my wife is 5′-9″, 147 lbs. I never realized I had lower disc problems until we replaced our 20 year old worn out mattress for a temporary inexpensive polyurethane foam mattress. 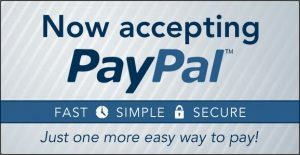 I would like to keep the price under $2,300 preferably around $1,200 to $1,600 including a 2″ latex topper. However, we will consider as much as $2,300 if that is what it will cost for something suitable for my disc problems. We also want to be sure the new mattress will not create a pocket if we roll towards each other. Also per your recommendations, it looks like you recommend the Natura Greenspring mattress more often than the other choices for people with disc problems. Which of the above list would you recommend for us within the price range I’ve noted and which mattress would you say is the best choice regardless of price and why? really does not tell you anything, that it is better to see how it feels at home after sleeping on it for a while. Oddly enough, the Natura Greenspring Liberty Ultra Plush is within the $1600 price point you want to stay close to. 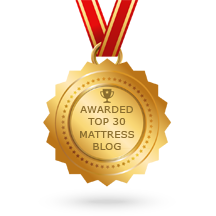 The reason why we recommend that mattress so frequently is because of the value. The quality is very high and it’s already upholstered with natural Talalay Latex. The individually pocketed coil system will prevent the two of you from rolling into each other. Because the quality is so high and the components are more substantial than in most of today’s mattresses, the term “Ultra Plush” is a little deceiving. It isn’t as soft as it sounds. It is, however, comfortable enough that you won’t need a latex topper for comfort. I would suggest getting the mattress first. Wait a couple of weeks to see it it is comfortable enough for you. You can always add a latex topper to soften it further, should you feel the need. 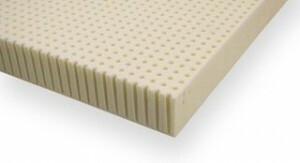 If you do, later, feel that you need a latex topper, the EverEden 2″ Soft Talalay Latex is all you will need. My wife and I have this mattress at home, and I have plenty of my own disc problems. It sleeps great. Here are links to the Natura Greenspring and to the latex toppers.